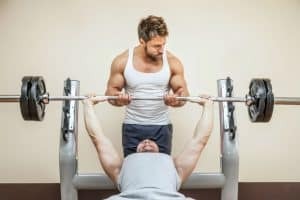 / What Does Incline Bench Press Work? The vast majority of people are always looking for ways to target specific areas of their body, especially when it comes to bulking muscle. The most popular area for any type of workout is clearly the chest, as this is usually the first part of your body that you’re going to want to develop. For this, an incline bench press can become your best friend. If you’ve wondered what does incline bench press work, the answer is your pectoral muscles, and it does so in a variety of different ways. 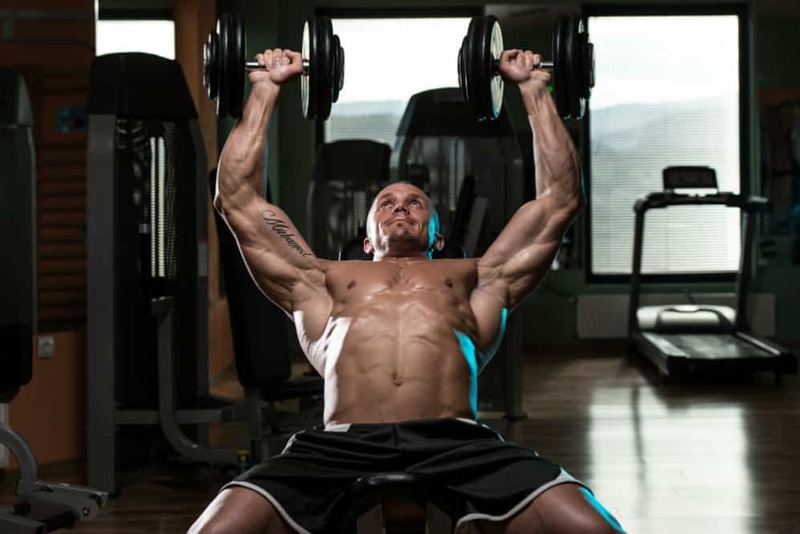 In this post, we’re going to discuss the benefits of an incline bench press and what you can expect from using one regularly with the right movements. 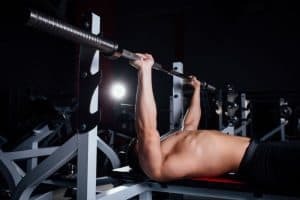 At first, when you use an incline bench press, you’ll notice that it’s going to work muscles in a wide variety of areas in your torso, which is exactly what you want. Even though it’s designed to specifically target your pectorals the most, you’ll also begin to notice bulking in your triceps (the back of your arms) and your deltoids (your shoulders). 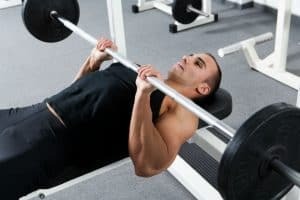 Even though there are plenty of other exercises that people seem to believe will help to build their pectoral strength, such as cable crossovers, using an incline bench press is the easiest and most effective solution because it will not only make your chest stronger but thicker as well. In fact, the vast majority of football players use incline bench pressing as the main lift while working out. 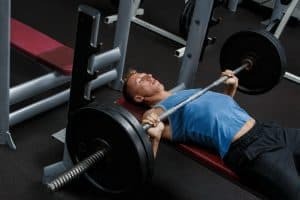 Now that you can identify what does incline bench press work, it’s time to know what techniques you should strive to avoid. This is because, unfortunately, it’s quite often that people will improperly lift weights, which can be quite damaging to the muscles. 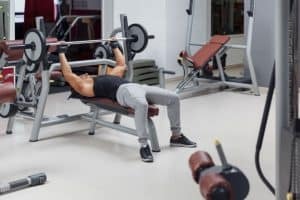 The best way to see what you shouldn’t be doing when working with an incline bench press is to take a walk around the gym to see how people are performing the exercise. The number one no-no is allowing your elbows to go back towards your head and away from your body. This, in itself, is what causes shoulder injury, as it puts far too much stress on your deltoids. Another large issue with incline presses is that people have the tendency to raise their glutes entirely off of the bench, which transforms the incline press into a flat press. 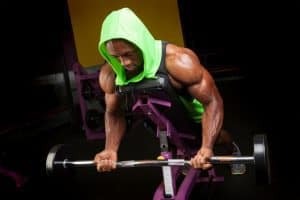 Below are some important steps to take into consideration when you start using an incline bench press to make sure you’re doing the exercise to the best of your knowledge. It’s important to remember that proper form is not only important to make sure you’re working the right muscles, but it also helps to make sure that you don’t injure yourself. The first thing you need to do is make sure that your bench is set at an angle between 45 and 60 degrees. You can then sit on the bench and lean back to determine if your body is in a comfortable and correct position. If you’re using a barbell, you’re going to want to take the bar on both of your hands so that they’re set just slightly outside your shoulder width. Hold the barbell at your upper chest, making sure that your palms are facing away from your body. Then, press the bar over your head until your arms have fully extended. Bring your arms down while bending your elbows and bring the barbell back to its original starting position. Continue to follow steps one through three for as many reps that you want to have per set. While you do, ensure that you hold your positioning correctly and don’t allow your elbows to extend too far past your body. Otherwise, you’ll be at risk of injury. 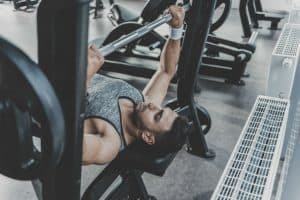 Apart from giving you the ability to transform the thickness of your pectoral muscles, there are plenty of other benefits related to doing an incline bench press. There are two main muscle groups that are included in your pectoralis major: your sternal head and your clavicular head. When you rely on traditional flat and decline bench exercises, the clavicular head is barely worked, which is why we love the incline bench press as it focuses on all areas of your pectoralis major. Known as the Specific Adaptation to Imposed Demand principle (S.A.I.D), your body is going to adapt to the demands that it’s confronted with. This means that as you do an incline bench press, your endurance is being pushed to its limit. This, in turn, helps to improve your overall strength. This is one of the most basic principles of weight lifting, as the more often you lift weights, the bigger and stronger you’ll get. As mentioned, your shoulders are another large region that will be impacted by incline presses, especially the anterior deltoids. This is why it’s so important to make sure that the bench is set at an angle between 45 and 60 degrees, as it comfortably supports your shoulders so that they can be bulked safely and effectively as well. With the incline press, you can choose whether you want to work with heavier or lighter weights, giving you complete control over your workouts. With that being said, you’ll likely have to lift weights that are lighter than what you’re used to. Using this type of press gives you the ability to train the weaker areas with ease, so you can have a well-rounded upper body. Knowing what set of muscles does incline bench press work is the first step to achieving all of your upper body strength goals. With the opportunity to work several areas of your torso ranging from your deltoids to your pectoral muscles, it’s a very effective exercise as long as it’s performed properly. With the right positioning and a reasonable amount of weight, you can target the weaker areas of your torso for a more well-rounded physique, which is why it’s one of the most popular exercises among bodybuilders.